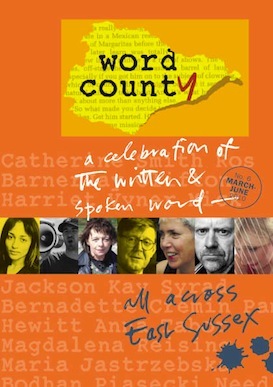 Mark C. Hewitt worked as a Creative Producer for East Sussex Arts Partnership's Word County programme. 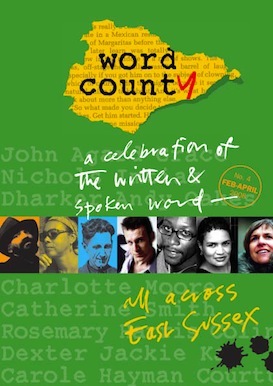 This was a countywide project developed to celebrate the spoken and written word, with an emphasis on participation, communities and sense of place. 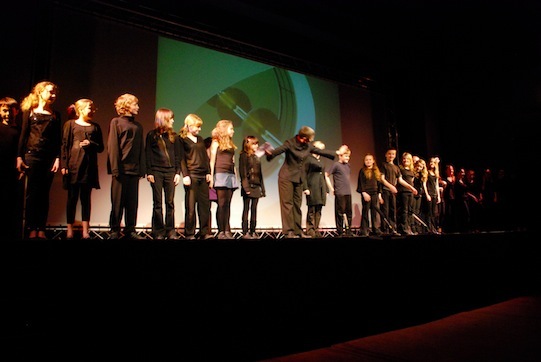 Between 2005 and 2012 many projects were developed across East Sussex in partnership with a range of cultural and community organisations. A handful of these are summarised below. 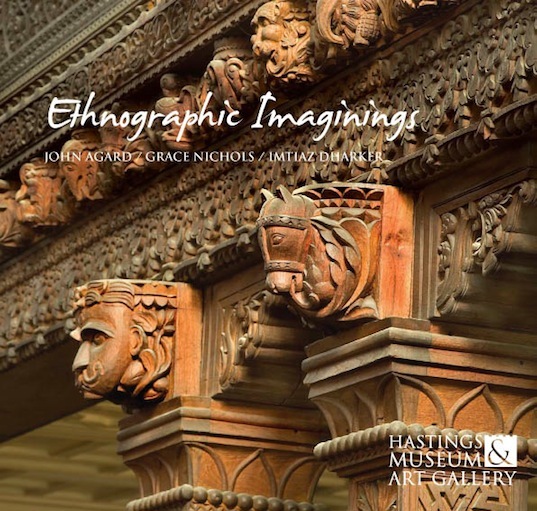 Poets John Agard, Grace Nichols and Imtiaz Dharker spent time with Hastings Museum & Art Gallery's 'World Art Collection' to write new poems exploring and bringing to life a selection of the intriguing artefacts in the museum's permanent exhibition. Displayed in the ornately carved Durbar Hall, there are objects relating to childhood, food and drink, costume, leisure, warfare, and belief and the full collection spans 4,000 years of human history. The poems were presented by the three poets in a live performance at the Museum that became the starting point for children from Bexhill High School to develop their own poetry project. The poems written by John, Grace and Imtiaz responded to a curious selection of artefacts - from a cricket bat and ball to a thumb ring to a mask - and the full collection can be seen (along wit photos of the object) in a free publication available from Hastings Museum & Art Gallery. They can also be heard spoken by the poets themselves in recorded versions of the poems on the museum’s website. See pages elsewhere on this site. 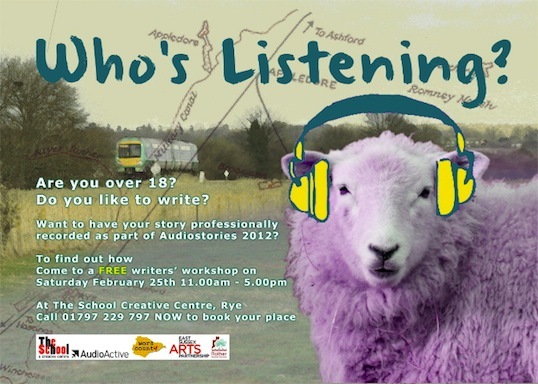 Writer Catherine Smith and theatre practitioner Nicola Blackwell worked with Year 7 students from Bexhill High School to develop a collection of writings in response to the sights and sounds of Bexhill-on-Sea. The activity culminated in a final event at De La Warr Pavilion in February 2010. An anthology of the students' writing was published by the school. Who’s Listening? was a collection of stories by adults and young people, bringing local tales of smugglers and pirates, witches and pleasure-seekers to passengers as they travelled on Marshlink trains across the Eastern half of East Sussex. Inspired by lives and legends from the past, two rap stories, 'The Smugglers’ Tale' and 'The Case of Alice Martin', were written and recorded by nine young people as part of a three-day workshop at The School Creative Centre, Rye, working with Audioactive rap artists Jon Clark and Paul Alborough (aka Elemental) recorded by musician Ollie Finn. Their ideas were enhanced by the researches of young historian Henry Lampitt. A group of 17 adult writers also attended a one-day workshop led by writer and director Christine Harmar-Brown with input from the curator of the Bexhill Museum, Julian Porter. Following the workshop day, two subsequent submissions, 'Bicycle Made For Two' by Kate Tym and 'Fools’ Errand' by Dave Payne, were produced as audio stories. 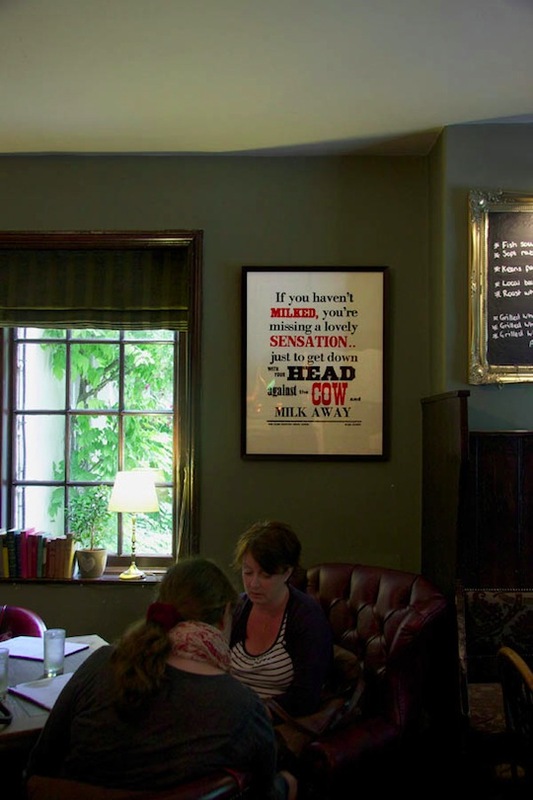 Four letterpress posters were displayed in sequence on the platform of Plumpton Station and at the Half Moon pub on Ditchling Road, were hand printed by Peter Chasseaud of Tom Paine Printing Press, in Lewes. The project was developed in partnership with the Plumpton Hidden Histories initiative, with each poster celebrating aspects of the character and traditions of the village. 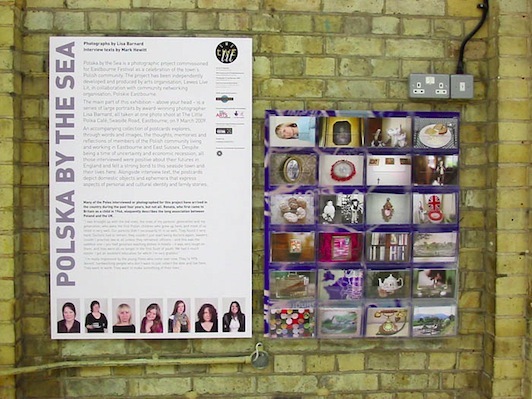 Two of the posters quote directly from the reminiscences of contributors to the Hidden Histories project: (Dorothy French on milking cows the old-fashioned way and Jo Taylor on playing in the woods as a child); the other two were conceived by Mark Hewitt as riffs on ideas that cropped up in conversations with Plumptonians Kathy Baker and Mark Cornford. The posters, made on an 18th century style wooden ‘common press’, evoke the interest in traditional typographic techniques shown by some of the artists and designers that gathered in nearby Ditchling in the early 20th century, such as Eric Gill, printer Hilary Pepler and calligrapher Edward Johnston. 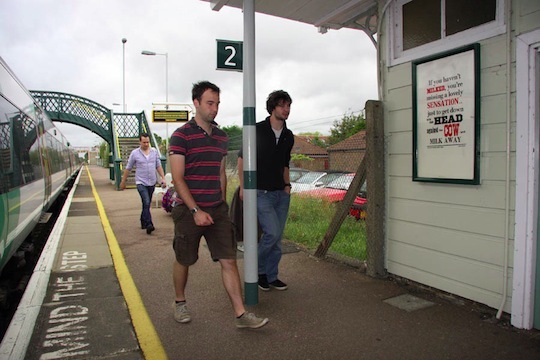 At the request of the station master, one of the posters has remained on permanent display at Plumpton Station.